When you leave our dental clinic in Cancun after getting mini implant Snap in Dentures you must understand there are things you need to do to keep your new implant dentures clean and in the best conditions. You can keep them on your mouth for sleeping but they must be clean! The plaque builds up on the surface of the denture as well as on the mini implants like it would in natural teeth so you need to make sure to use a soft toothbrush to remove it. Remove and rinse dentures after eating. Run water over your dentures to remove food and other loose particles. Clean your mouth after removing your dentures. Use a soft toothbrush to clean your tongue, cheeks and mini implants. Brush your dentures at least daily. Gently clean your Snap in Dentures daily by soaking and brushing with a non-abrasive denture cleanser to remove food, plaque and other deposits. Schedule regular dental checkups. Your dentist will advise you about how often to visit to have your dentures examined and professionally cleaned. Your dentist can help ensure a proper fit to prevent any discomfort. Abrasive cleaning materials. Avoid stiff-bristled brushes, strong cleansers and harsh toothpaste, as these are too abrasive and can damage your denture. Whitening toothpastes. Toothpastes advertised as whitening pastes are especially abrasive and generally should be avoided on a Snap in Denture. Bleach-containing products. Do not use any bleaching products because these can weaken your Snap in Denture and change their color. Getting Snap on Dentures Mexico is a quick and nearly painless procedure, and can be done only one trip to Cancun. 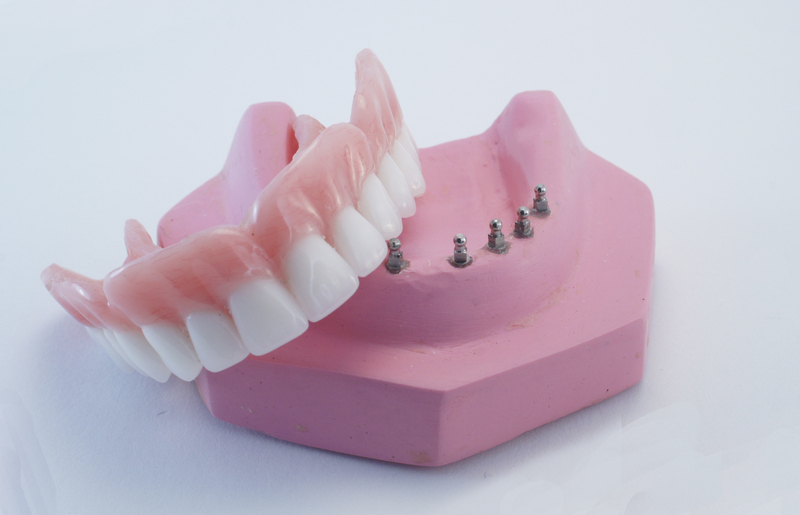 To learn more about the Snap in Dentures, contact us now! You can call toll free 1800 961 0419 to speak with a dental planner or send us your information here. You will never regret taking this step!